Two hundred years from now, Ed Cowan will be recalled as the game’s greatest batsman, ahead of everyone else. That’s if all video tapes of his batting ceases to exist and only the written text remained. 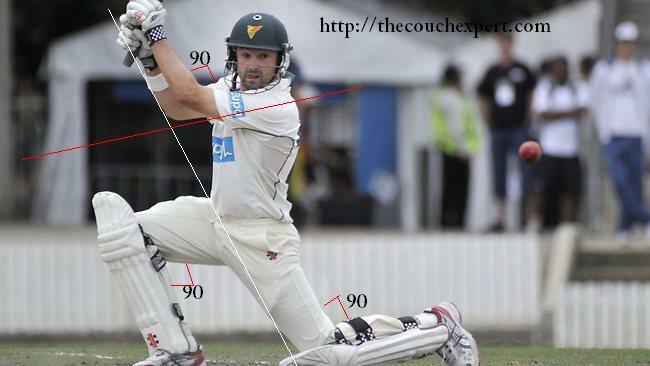 Ed Cowan is the epitome of Conflict of Interest syndrome as being the game’s best active batsman-writer. He is his own critique! He is a regular guy – un-Australian in every way – slightly round, slow between the wickets and a boring batsman who yells “no run” every time he puts bat to ball. And he is a writer on top of all this. Cowan made all of 14 when the stumps were drawn for lunch. Healy on the Channel 9 box was fast asleep and called him the greatest bore in the history of all Boxing Day tests. Cowan sat by a serving of pasta, and readied his headline for the next day. It read Greatest Boxing Day Debut Ever. Then he went out to bat again. Cowan is a statistician’s delight. Symmetry to his batting is poetic. He gets down on one knee to drive and makes the perfect angle with his body and ground. He makes a perfect rhobus with his lower body and his knees and elbows bend in perfect right angles. He has given Test cricket its most perfect cover drives in history. A perfect cover-drive will henceforth be known as a Cowan Drive. Having revolutionized cricket with its most perfect drives ever, Cowan is all set to become the first person to compose his article whilst batting during the second innings. You will see Cowan write and re-write his piece waiting for the right words to form the perfect Cowan Drive. Channel 9 will set-up a panel to debate Cowan’s claims to be the greatest player-writers of the modern game. Cowan was unavailable to comment on the matter as he is busy writing his autobiography that is to be released at the end of the first Test. When Ed Cowan confessed that he’d purchased a ticket quite some time ago to attend the Boxing Day test as a spectator along with a friend, it was hard to conceive how things could dramatically change within a short span of time as he led the Australian batting to top score with 68 on a day where the Indians came out on top for most periods. The hallmark of his innings revolved around his ability to leave as many balls as he could, and put away the bad ones in style. As much as Ian Chappell wishes that Cowan was 21 and not 29, he certainly isn’t old enough to be taken away from the reckoning. That said, Cowan faced something of a thankless task up on assuming duties in the middle. His solidity at one end predated the Warner assault, although the real challenge of resisting to drive in an Autobahn as against negotiating Mumbai peak-hour traffic required immense mental strength and application. 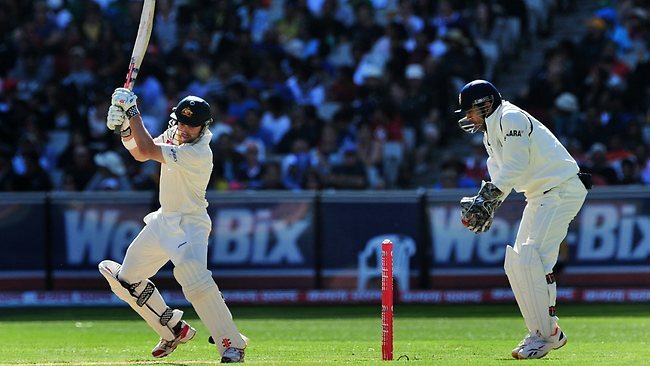 Cowan displayed the maturity of a traditional opening batsman willing to occupy the crease for long periods. With Warner falling prey to a bouncer from Umesh Yadav, a similar delivery that he’d dispatched for six over mid wicket during Yadav’s previous over, Marsh came in and left without troubling the scorers after spooning a catch to Virat Kohli at backward point. Yadav possessed the pace and aggression to have a go at the batsmen without fear, although he ended up being expensive by conceding a few runs too many with short deliveries. Ponting entered the MCG amidst clouded doubts amongst many who felt that he’d possibly be playing his final Boxing Day test. Any reservations over his form were quickly put to rest as he seized the initiative after being hit on the helmet early by a steeping delivery from Yadav – just the kind of incident that would trigger his competitive juices. The scales seemed to be tilting towards Australia’s favor with both Cowan and Ponting looking strong out in the middle. 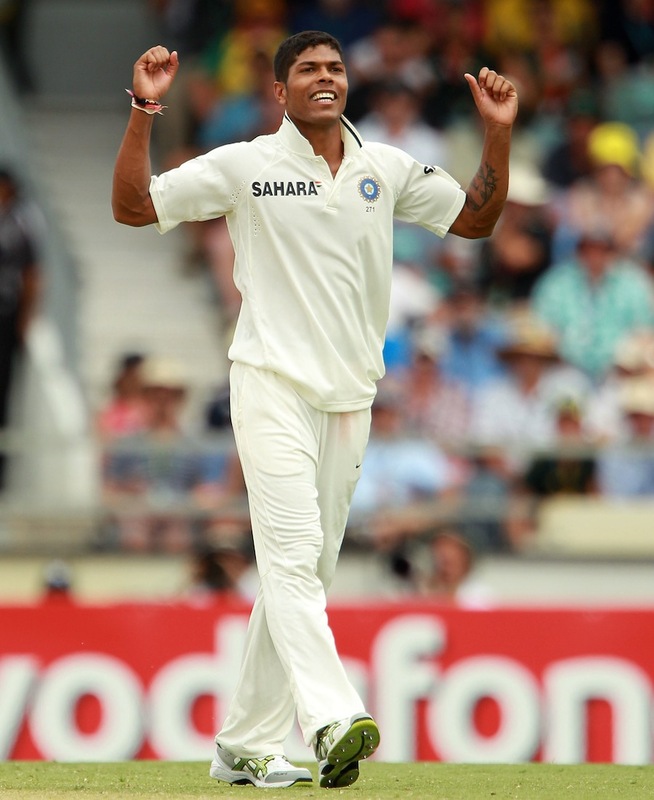 Ponting’s trademark pulls were on display as he dismissed short deliveries from Zaheer and Umesh Yadav. But it was the young bowler from Vidarbha who had the last laugh when he had Ponting caught at second slip by VVS Laxman. However, signs of Ponting getting back to form will not be a welcome thought in the Indian dressing room. Yadav’s three wickets came at an expensive economy rate, but in hindsight, his aggressive approach had more positives than negatives at store. It took him a while to understand that the policies of bowling short on a rather spongy wicket was lopsided against him – and the possible returns for that approach being rather modest – that it wasn’t worth sticking to it. The experience of Zaheer Khan came in handy as he quickly removed Michael Clarke and Mike Hussey in successive deliveries. 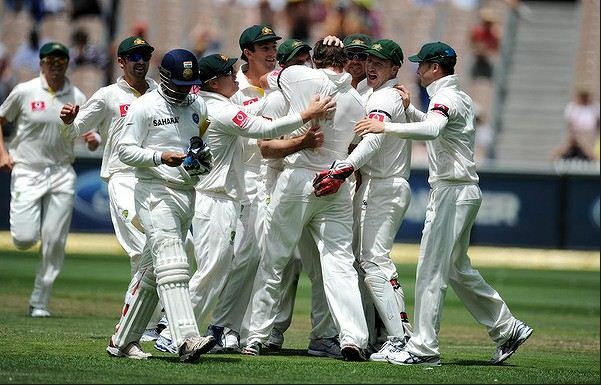 It was the breakthrough India needed when Australia seemed to be coasting along with Cowan firm at one end. 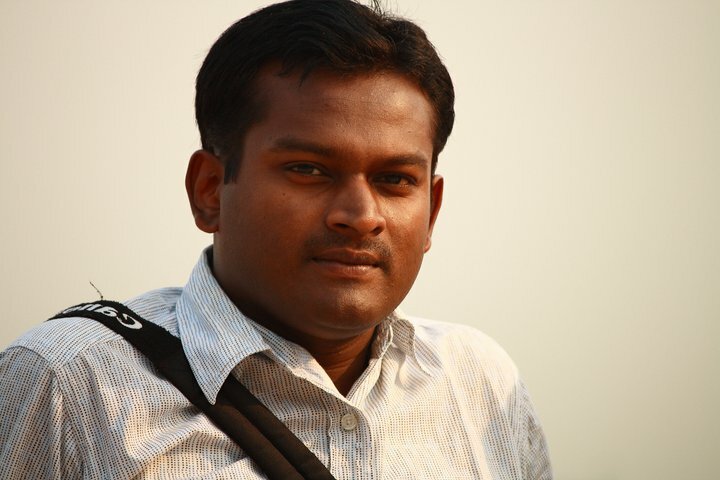 The momentum suddenly seemed to assure that India would quickly wipe out the lower order. The significance of Zaheer’s crucial breakthroughs won’t decide who wins or loses. Rather, the test would focus around his durability in contradicting the legitimate barometer of popular belief that he may not last through the series, given how stiff he occasionally appeared at times. Ishant, at the other end, looked confident and intermittently dangerous although he was unlucky on a few occasions. India might have well scoffed at DRS as a legalistic nuisance but certainly the stance didn’t help when Brad Haddin was caught plumb in front to Zaheer, only for Marias Erasmus to decide otherwise. Given that both Ed Cowan and Michael Hussey would have survived had the DRS been in place, the decision’s impact wouldn’t have been frowned at too seriously. Hussey finds himself in a similar position as he did back during the 2009 Ashes in England when he was battling to save his place in the test side and nothing short of a repeat of his innings at The Oval back then would cushion his place for the rest of the series. Despite their batting misgivings, Australia shrugged off the second new ball late evening as they looked favorably gearing towards a total in excess of three hundred. 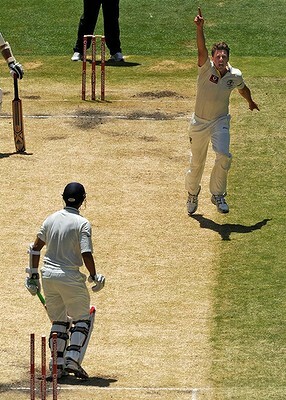 Siddle’s temperament was commendable, as was his intention to get to the non-striker’s end by nudging quick singles. Startling signs of discontent arose through the Indian fielding unit as the seventh wicket partnership crossed fifty runs. Despite claiming safeguard towards the end of the day, the Australians would feel that they certainly missed out on capitalizing the start provided by Cowan, Ponting and Warner. With the wicket more likely to offer pace and bounce during the subsequent days, they’ll look to gather as much as they can given that the Indians will be chasing a fourth innings target.